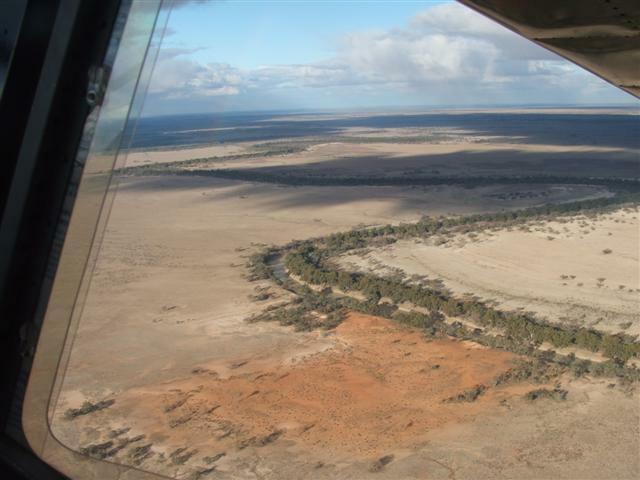 Here are some photos of the flight to Marree, South Australia, for the Camel Races. Not many photos on the way out to Birdsville, cause I've been that route so many times that it's pretty familiar. But photos of that part of the country are already on other trips such as the Channel Country Trip , http://www.stolspeed.com/id/58 . After the camel races we went to Arkaroola Wilderness Sanctuary, then I followed the Darling River from Menindee Lakes to Bourke. Corrugations on 'the track'. Sure is good to be in a 'high clearance' off-road vehicle like this aircraft! Aircraft at Marree. 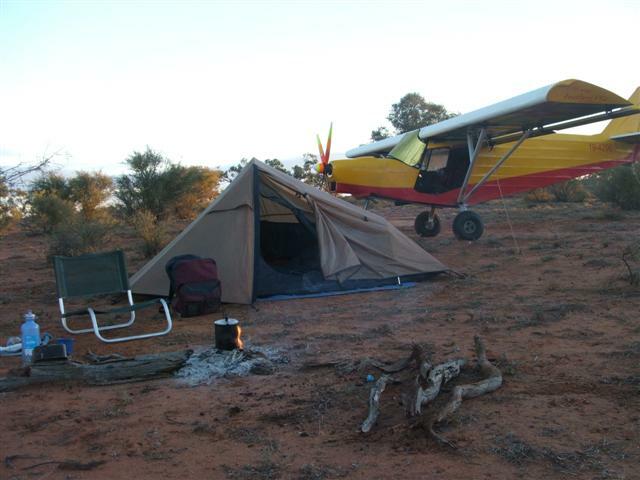 A total of 13 aircraft came - 4 Savannahs, 3 Jabirus, 2 Foxbats, 1 Zenith 701, 1 Bush Caddy, 1 Sonerie, 1 Cessna 180. The Camel Races. The camels weren't very enthusiastic, but lots of fun anyhow. Some of the intriguing rock forms just SW of Marree. 'Twin aircraft' art sculpture at Finniss Springs, 20nm west of Marree. It seems that this was built by a nearby art/hippy colony. It contains a homemade pipe organ, and symbolizes "...A gateway to a better future...."
'Marree Man' workmanship up close. A station homestead, really in the middle of nowhere. How did they chose this particular spot to settle down? Hans and I sheltering from howling SW winds at Arkaroola airstrip. The management at Arkaroola lent us this 4WD to explore some of the magnificent scenery there. 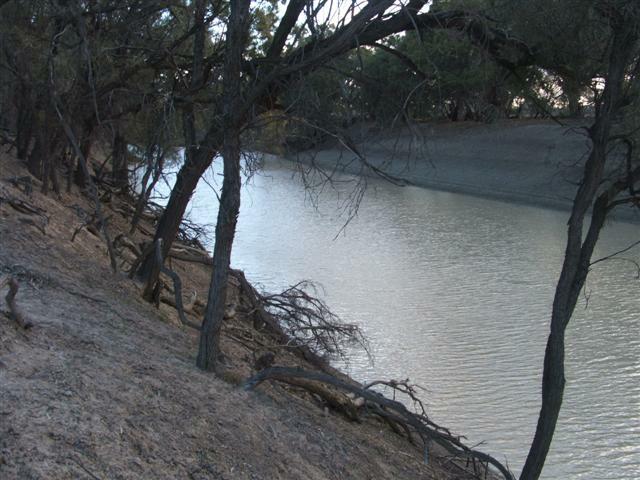 The Darling River looks pretty healthy here at Menindee. Landed on the flood plain to have a close look at the river. Update Sept 08: This is the 'Toorale Station' that has just been purchased by the government, in order to release that water to the river in future. But that water does go to a good use, very productive farms. An early morning campsite along the Darling. It's just so good to be able to travel like this! One of the best discoveries of this trip was Arkaroola Resort and Wilderness Sanctuary. This is a satellite view, but click on + a couple of times to get at closer view. These are the most impressive mountains I've seen anywhere in Australia! 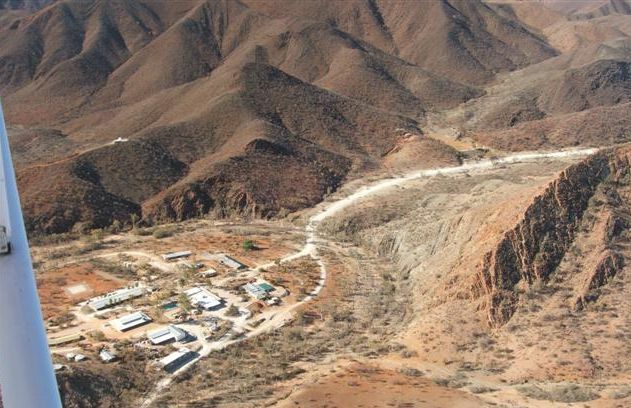 I had always thought of Arkaroola an exclusive resort, but the reality is completely the opposite!! VERY AIRCRAFT FRIENDLY, particularly welcoming fly-in groups. Avgas, premium and regular unleaded. A well-positioned fuel stop. Ecomonical accomodation. From twin cabins at $15 each to three and half star lodges. Spectacular geology all round! Astronomical observatory for viewing the stars. I reckon many of us will want to stop there for a couple of days after the Camel Cup, only 80 miles from Marree. Arkaroola Wilderness Sanctuary. Note one of the two observatories in background. Some of the interesting geology nearby. Sedimentary in the foreground and igneous behind. 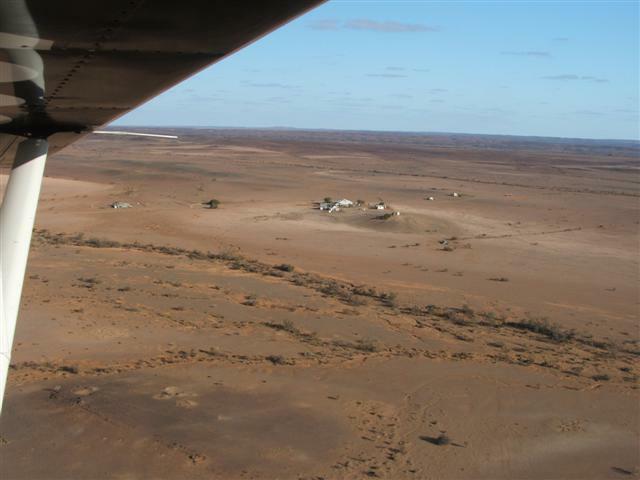 It’s sounding like this Camel Cup fly-in at Marree is going to quite a gathering! I haven’t kept count, but there’s quite a few aircraft going just from SE Queensland and Northern NSW . At Narromine several others were making plans, and Barbara and Robin from Bairnsdale have already booked accommodation! So I think it’s going to be a merry time, sitting around a fire under that desert sky, after a feed at the Marree pub, with lots of adventure stories bouncing around. These modern aircraft of 70+kts cruise, with lean, dependable engines, make long-range adventure touring really viable. And flying is by far the best way to see Australia . So much of this country is so dead flat that when you drive the road all you see is the bush right alongside the road. If you look away from that white line for a moment it could be disaster, and even more frightening, if anyone of those oncoming looks away or falls asleep it could be disaster..... And when you get into that really interesting outback country, often you only see a cloud of dust and corrugations..... On our flight to Cape York we noted that the road below was a line of 4WDs, each just behind or in the cloud of dust of the one in front. These aircraft cost about the same as a good 4WD, and I sure know which I think is the better value for travelling around the country! Flying in remote areas it’s usually a really good plan to follow the road fairly closely – they’re usually wide and open with little traffic, ideal in an emergency. But in your genuine high-clearance, off-road vehicle at 1000ft AGL, it’s a totally different trip! You’re above all the dust and corrugations, and even if it’s a paved road, you can relax and not have to watch that white line all the time. Navigation is easy, just following the progress on the map, and much more interesting than trying to fly a straight line on the map or slavishly following an arrow on the GPS. From up there you have a totally different vista than from the road, with perspective to the distant horizon, and can really see the ‘lay of the land’. You can spot all the roos and emus and pigs running through the bush, without colliding with them. By far the most relaxing and enjoyable flying that I have ever done, is following a road in that wide open country, throttled back to economy cruise, with the engine just purring, and watching the panorama slide by!!! It was really great when we were at Marree last year to see John Duguid drop in with his Savannah on his way home to Flinders Island from Uluru. And this was on his 80th birthday..... That’s the spirit that I really admire! Now back to this Camel Cup trip. 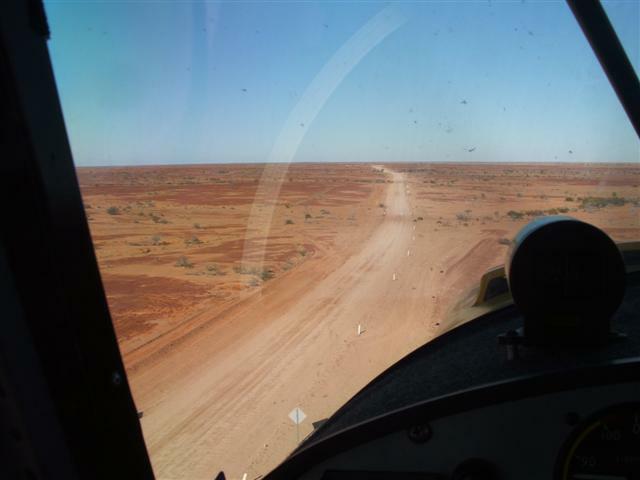 I’ll now take you on a virtual flight from SE Queensland to Marree by way of Roma – Charleville – Windorah – Birdsville – Birsville Track, following the road just about all the way. 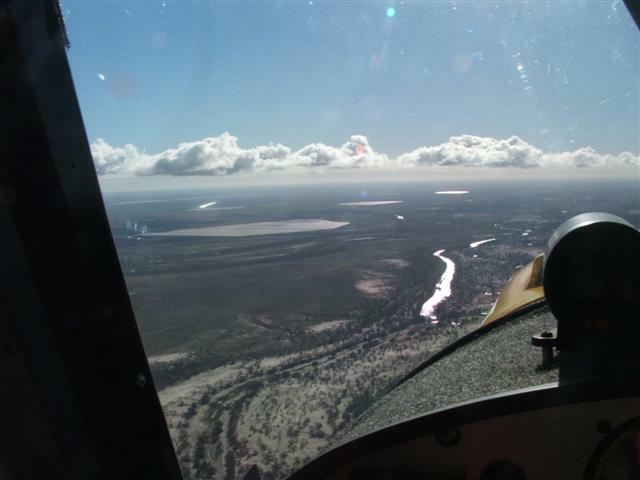 The flight along the Warrego Hwy to Charleville is straight forward over settled country. I find it interesting to watch the agricultural activity change, from the fertile Darling Downs to less and less viable cultivation, until it becomes only grazing and mulga by Charleville. Charleville is a really good first night camp right on the field. A good exercise walk to town for a feed, then visit the Cosmos Observatory right next to the airfield (bookings essential). More dense mulga west of Charleville, but by Quilpie the country changes and is really opening up. Easy walk to town with an excellent bakery in Quilpie. Then the road sweeps a bit north to Windorah, around some real ‘channel’ country with difficult vehicle access. Fuel on the field, and a 2km walk to ‘town’. On to the west, with the country getting more and more open. Unfortunately Betoota pub is now closed, but a long airstrip right beside the road. The first sand dunes appear just before Birdsville, that’s always a bit exciting. 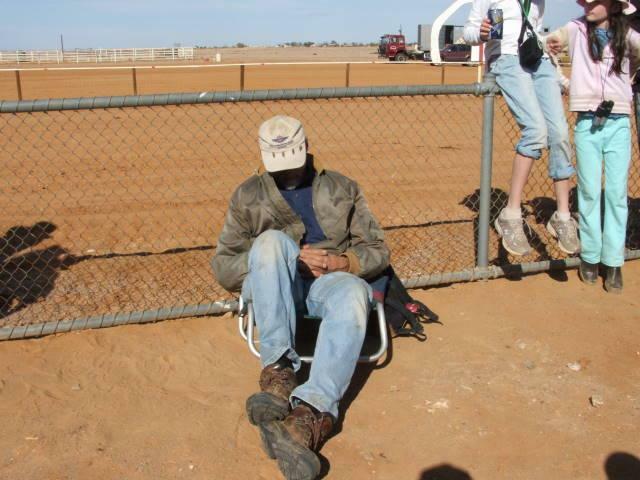 Birdsville is an ideal overnight stop. Fuel, pub and food all within a couple of hundred metres. Interesting history all around, and an excellent historical museum. 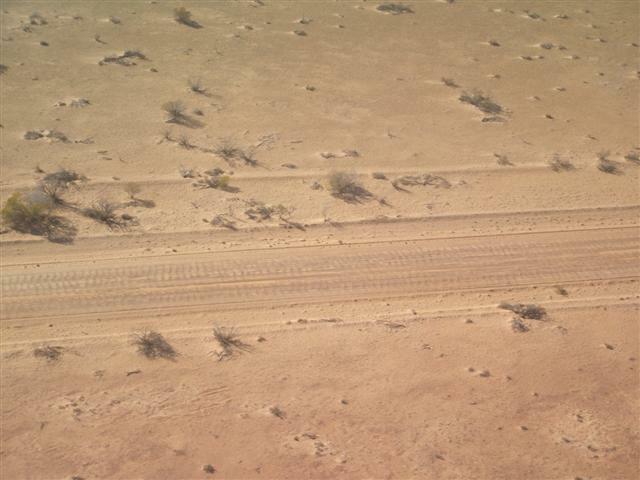 Then the real romantic adventure – flying down the fabled Birdsville Track. 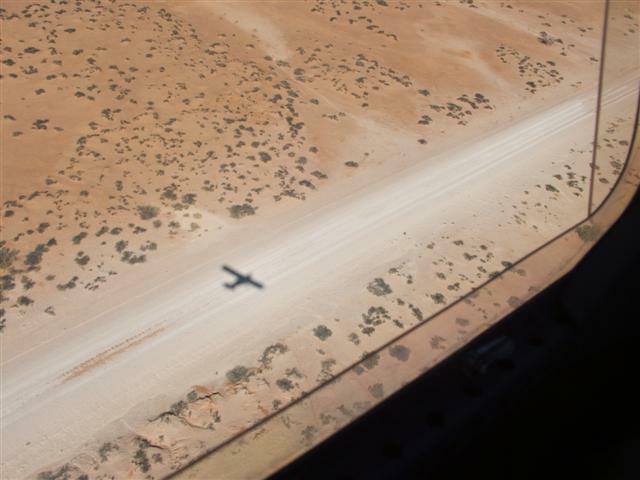 That’s a glorious flight over remote desert terrain, but with a wide ‘runway’ always at hand! I just can’t imagine anyone owning a capable aircraft not being stirred to get up and go on an adventure like that!!! Of course flight planning for such a trip is very important. It’s a lot easier these days, with lean 4-strokes and bigger aircraft with more range, but still need to find suitable fuel. Always plan on at least one full hour fuel reserve in remote areas. Best arrangement I find is two 20litre jerry cans on the pax seat – gives good options for extended range and unleaded fuel from towns. You definitely need swipe cards for AVGAS these days, and not just one but all three fuel companies, BP, Shell, and Mobil. The best source we have found is a company named Skyfuel, http://www.skyfuel.com.au/auswidecarnet.asp . They will supply all three cards on one account and debit your credit card for payment – works really well. Very advisable to ring ahead to verify fuel is available. On this WA trip I was caught out at Malparinka due to the pump being u/s, and at Marree because the underground tank had failed. Remote locations often have to wait for re-supply. Luckily I had two jerry cans along and was able to get to alternate fuel these times. Of course you need WACs and ERSA, but also well worthwhile is the AOPA National Airfield Directory, http://www.aopa.com.au/ to order. From SE Qld and Northern NSW in a 70kt aircraft it’s a three day trip. Hans and Bill and I came home to Kilcoy, Qld. from Marree last July in two l-o-n-g days at 80kts, but three would be easier. From Victoria it would be two days. A good long flight like this, and filling up at metered bowsers, is an excellent chance to get some real fuel burn figures. Please keep a careful log of the amount of fuel purchased, the power setting for that leg, and run times, and then work it out both by sections and overall average. Those figures are really valuable for future fuel planning. If you’re travelling solo then it’s worth carrying at least one jerry can on the pax seat. It really increases your freedom of movement to have that extra fuel on board for some legs, and can be really handy to carry fuel from town if necessary. ULP = regular unleaded, PULP = premium unleaded. Roma - AVGAS BP swipe. 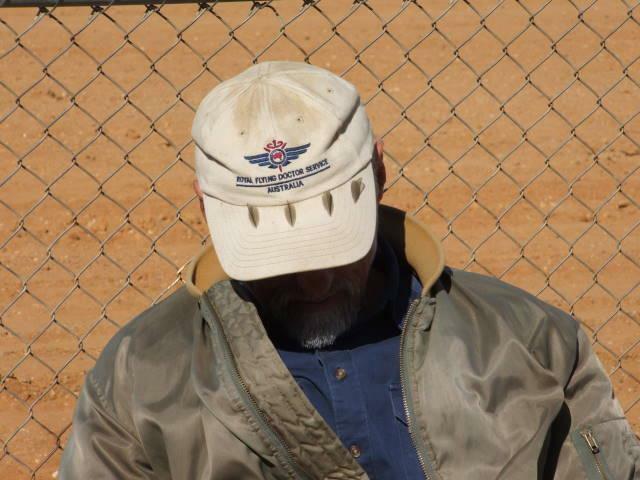 Charleville – AVGAS, friendly on-site refueler, country and western music included, lunch café on site, good exercise walk to town (RSL club on the way into town real good value...), good first night camp, have a look at the night sky at the Cosmos observatory near the airfield. Quilpie - Easy walk to town for PULP and bakery, but real coffee at the motel across the road. Windorah - AVGAS, chat up Bubs the refueler and she might give you a lift into the pub for lunch. Birdsville – PULP and good tyre service at Mobile servo across the road. Pub across the road. Curry cafe now closed - very disappointing..... Pub menu very up-market, and pizzas at the Bakery the worst pizza ever - cooked beforehand and held in a warming oven.... I haven't tried it but there is a cafe at the Shell roadhouse open during business hours only. Birdsville is no longer one of my favorite overnight stops!!! Down the fabled Birdsville Track. Mungerannie Roadhouse - ULP, and good burgers. Marree – No PULP any longer....... At Marree Avgas is only available by the full 200 litre drum, and the supplier needs at least one week prior notice to get the fuel in ( 08 8675 8371 ). 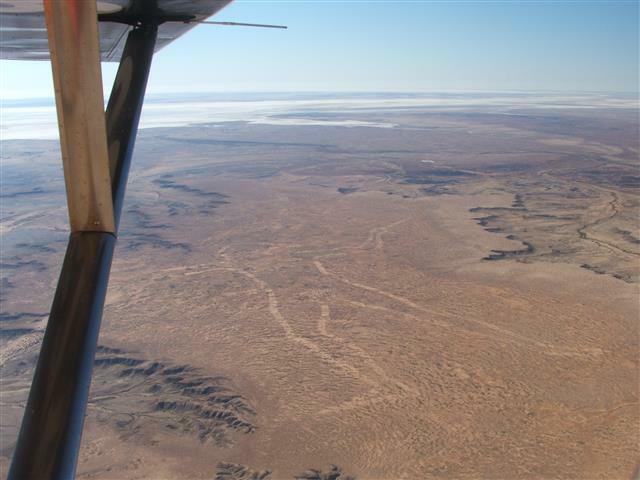 Bulk Avgas is available at Leigh Creek (60nm) or Arkaroola (80nm). 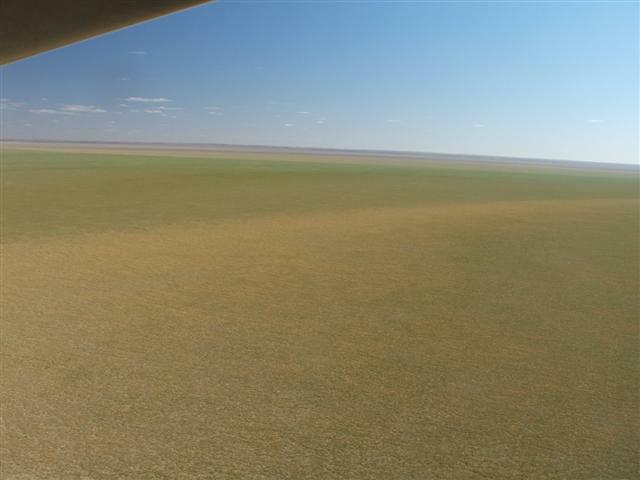 Roma – Charleville – Quilpie - same as above. Dig Tree - Good strip right next to the site. Moomba Gas field – don’t fly right over the gas plant, and don’t land. Mungerannie Roadhouse - Birdsville Track – Marree, same as above. St. George – AVGAS on field, PULP 200 metres. Nearby cafe now closed. 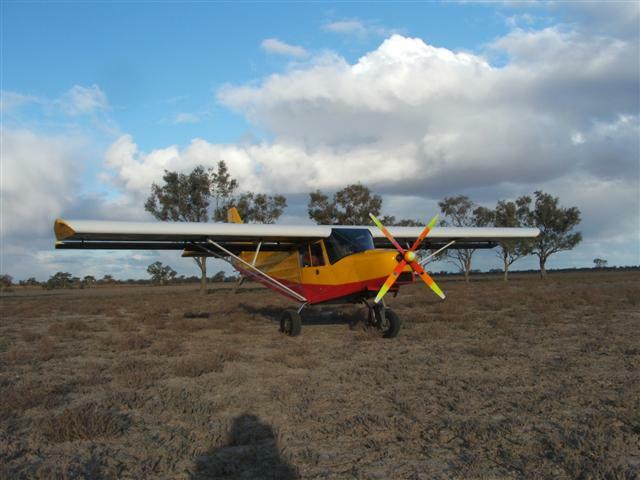 Cunnamulla - AVGAS 0417 729 685 . 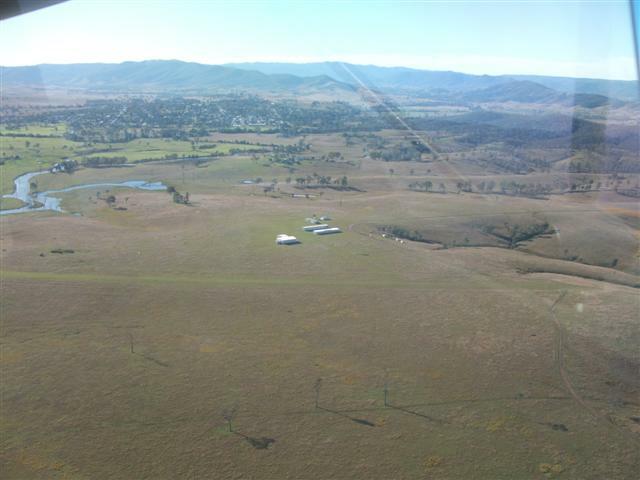 Thargomindah – AVGAS 0428 449 511 , no fuel cards, only credit card or cash. Noccundra Pub – Taxi over to the bouser for ULP, food. Dig Tree – Innamincka - Mungerannie Roadhouse – Marree, same as above. St. George – Cunnamulla – Thargomindah – same as above. 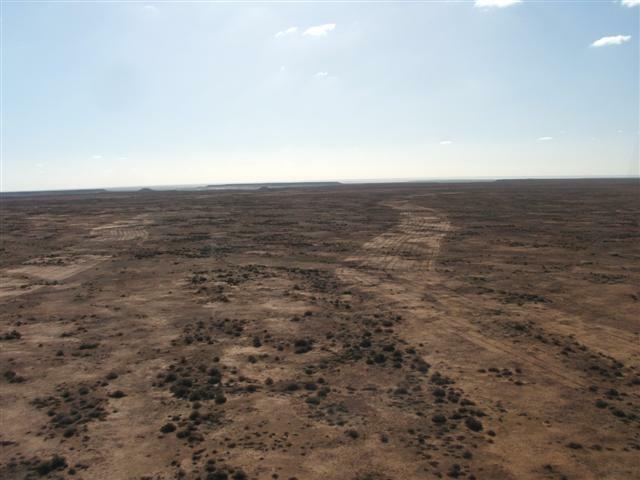 Cameron Corner – ULP 200mtrs, burgers, dingo fence over the horizon each way. Across to the Strzelecki Track (scrubby dune desert, no place to land). Mt Hopeless – Good strip for fuel xfer, in spectacular barren stony desert. 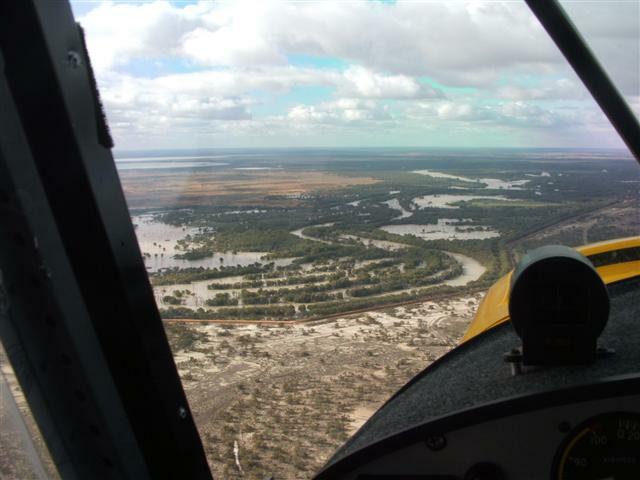 Goondiwindi – AVGAS. $100 callout fee after hours! If you have a jerry can, taxi to the end of the grass x-strip and duck through the fence to the service station. 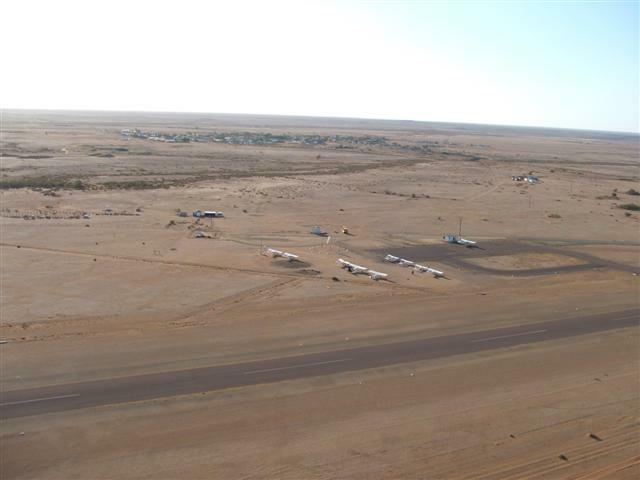 Lightning Ridge – AVGAS, town 4km, opal mines. 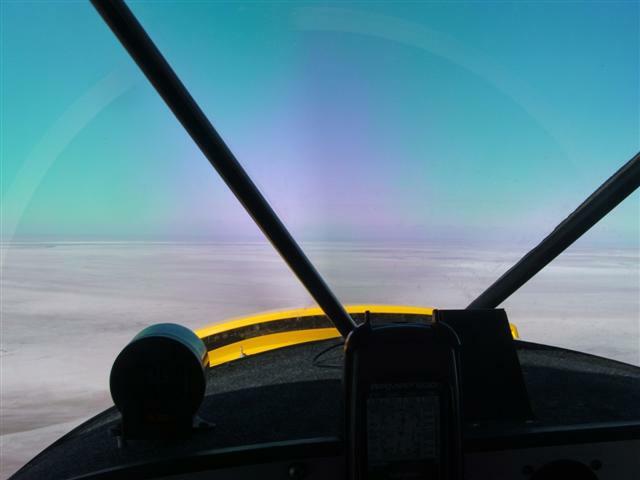 Bourke – AVGAS Shell swipe, town 6km, cafe 300metres. Wanaaring – ULP in town 3km. Milparinka – Taxi down to the historic stone pub for ULP and food. Mt. Hopeless – Fuel xfer. Or via Arkaroola - Avgas, PULP, ULP, good service. Goondiwindi – Lightning Ridge – Bourke – as above. Wilcannia – PULP delivered with prior notice (08) 8091 5021 . Or White Cliffs – AVGAS (08) 8091 6606 . 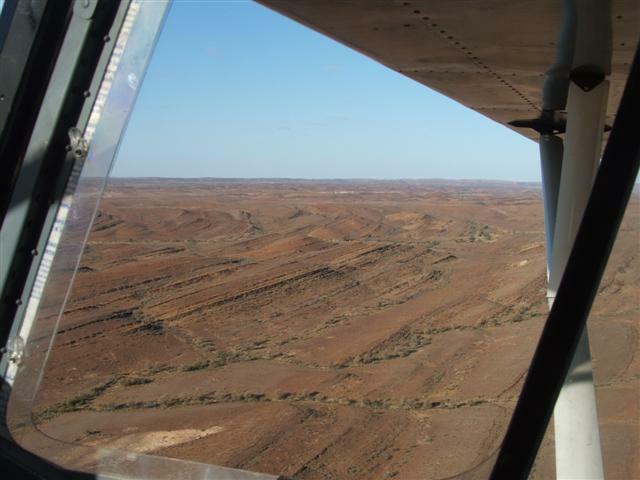 Broken Hill – AVGAS Mobil 0419 635 915 . Arkaroola - AVGAS, PULP, ULP, excellent service! We don’t like to have to consider the possibility of going down and being stranded anywhere, but a little bit of preparation can prevent it being a dire situation. I carry a minimum of 3 litres per person, plus several drink bottles for day use. The 3 litres is held strictly in reserve, and the drink bottles are topped up whenever refuelling. This is for following roads, or at least in readily accessible country; for remote or difficult access areas then at least 10 litres is required. Those backpack water bags cost quite a bit, but are the best way to carry the reserve water – they pack away easily and are very tough and impact resistant. There’s more water out there than you see from the road. 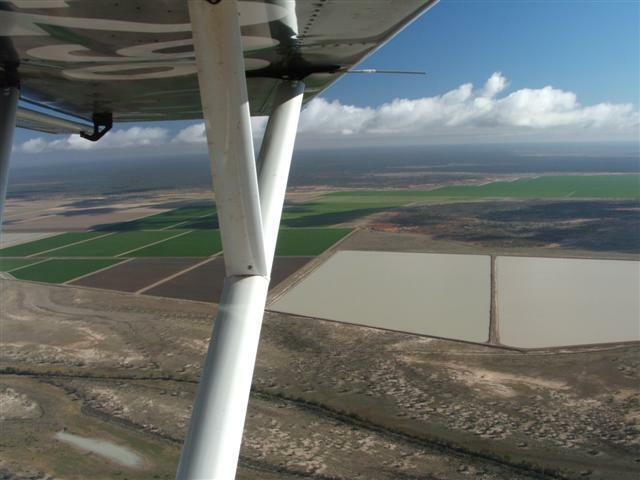 From the air you can spot the dams or bores for stock watering – if there’s cattle or sheep then there has to be watering points. Always keep a watch for those water points, and if the engine quits, a landing near one is a big advantage. Also, there’ll be a vehicle track to the water point. Landing on a vehicle track is usually a much better option, and also makes access to assisting vehicles easier. Of course an ELT is essential for all flying. And they are really effective these days. But triggering an ELT starts off a serious search and rescue process coordinated from Canberra . If I was downed by engine problems and landed safely, I wouldn’t really like to start off that process unless absolutely necessary. First I would use my UHF to see if by chance there was someone local within range – every vehicle out that way has a UHF. I have a UHF installed and often keep it on ‘scan’ to keep track of which channels are in use. Road crews and mustering crews can often be heard at work, and 4WD tourists chattering. The range from the air is considerable. The range from ground level is very limited, but worth a chance, because these are exactly the fellas who can be the most help without a lot of fuss. I would at least carry a small UHF hand-held. Next I would get on the VHF area frequency and try to reach an aircraft. (I carry a ‘Class G and E Frequency Planning Chart’, with the area frequencies for both flight levels. ) With the other aircraft at IFR altitude the range is considerable, even when I’m on the ground. Such voice communication gives the opportunity to give a GPS location and explain the situation without causing a SAR panic. I’d be asking them to contact the nearest police station to ask them to arrange for someone local to come and assist. I always carry several hundred dollars in cash to pay for such services if needed. They’re all very generous in those parts, but I’m certainly prepared to pay for the service when they leave what they’re doing and use their vehicles to help out, while I’m just ‘playing around’ out there in the first place. One of the most essential bits of ultimate survival gear to carry, is a couple of those reflective ‘space blankets’. They roll up small and weigh next to nothing, but they can be a real saviour from either heat or cold. If caught out without tent and sleeping bag in cold wet conditions, squat down with knees against your chest and the blanket wrapped over your head and around the body, with reflective side in – this way you can retain body heat to survive. In very hot conditions, drape the reflective blanket over a bush, with reflective side up, and burrow under it and lie really still. There are lots of light-weight tents on the market these days. Mine weighs just 2 kg, and is a great little 'cocoon'. It not only keeps the mossies well away, but it stops that chilling draught, keeps the dew off, and provides shelter to keep my gear and boots dry if there's rain in the night. Next are a couple of lamb's wool sweaters. These are the soft, fluffy, 'lounging' sweaters. Two layers like this is much, much, warmer and lighter than one heavy sweater, and more flexible and comfortable. When not needed they stuff easily into your travelling bag. When your flying jacket goes over all this fluffy bulk you'll feel like a fat teddy bear, but at least you'll be a warm and cosy bear! So I just carry a light-weight summer sleeping bag all year. But a roomy one, because inside it I wear as much of the flying clothing as is necessary for the temperature of the night. I don't know where the myth comes from about it being warmer in a sleeping bag with your day clothes off – I find just the opposite, and I've had many teeth-chattering nights to put it to the test. There are several advantages to wearing lots of clothing inside a sleeping bag; not the least of which is, if you need to get up in the middle of the night for whatever reason, it's no sense exposing any more skin than necessary to that chill night air! The sleeping bag should have a hood to keep your head and neck warm. And it must have a ‘silky’ inside, not a fleece lining – the fleece feels nice on bare skin but it drags on your clothing when you roll over, and collects every bindi burr in the west if it gets a chance. The next essential for light-weight camping is a 'space blanket'(that may be a trademark name, but I'll use it anyhow). If your sleeping bag isn’t warm enough, then lie on part of the space blanket with the rest loosely draped around your back, but leave one side open to reduce condensation – makes an amazing difference to warmth! It's also an essential part of any survival kit so I have a couple of space blankets permanently in my aircraft, even for local flights. That's 9 kg – not too bad for a kit that's sufficient for flying and camping in just about any weather, and in good comfort.